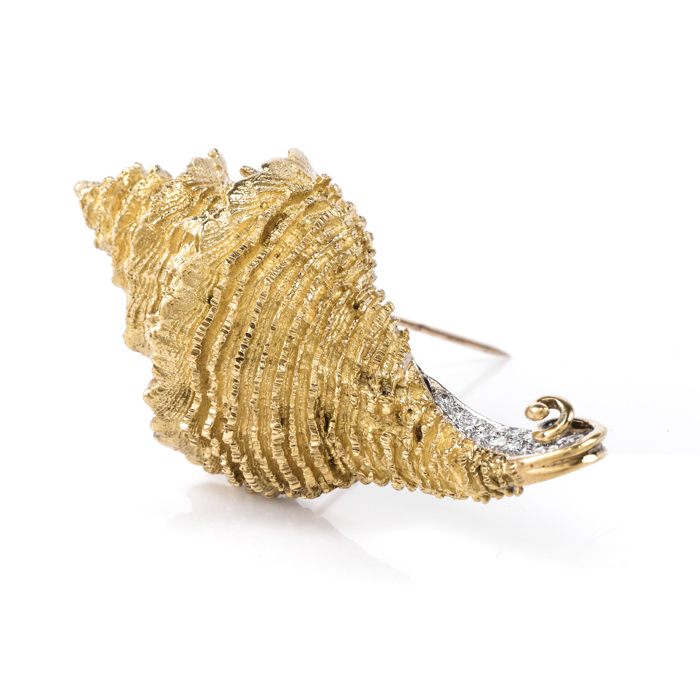 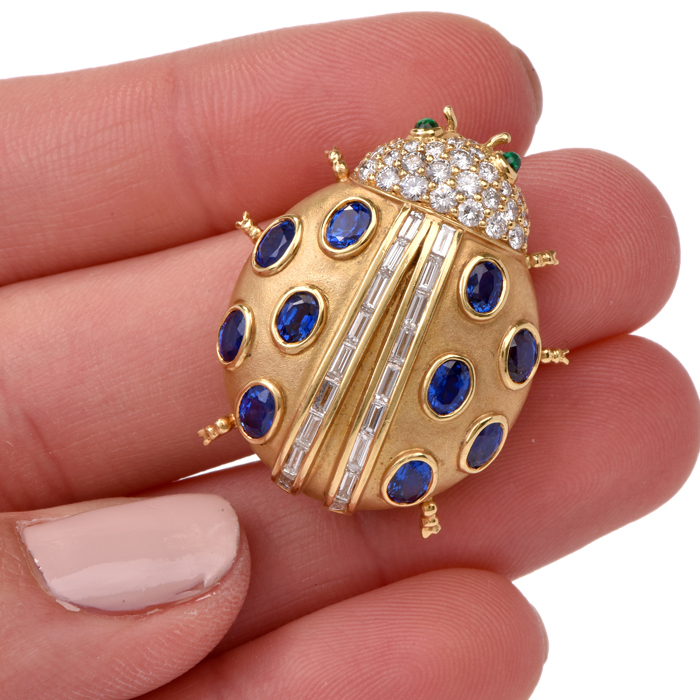 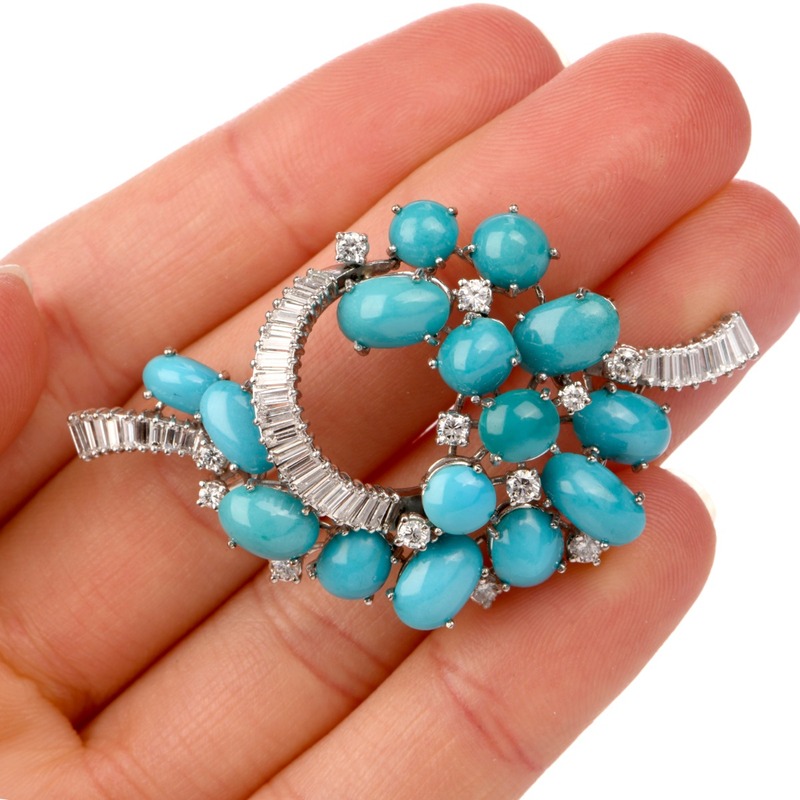 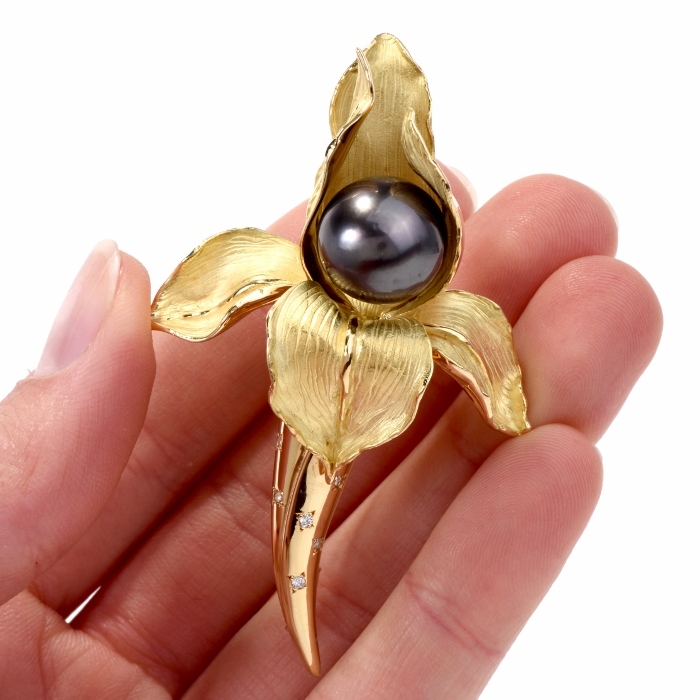 Dover Jewelry & Diamonds' Online Jewelry Store offers an exquisite collection of estate brooches, comprising the antique ones from the Victorian era to the more recent postwar Retro period. 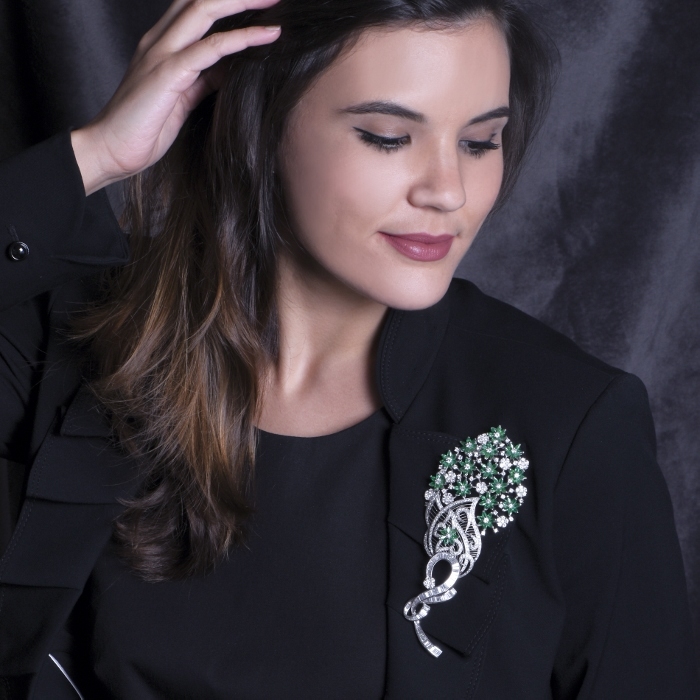 Our unique palette of estate brooches and pins has been procured from different estates throughout the globe and added to constantly in the course of the years. 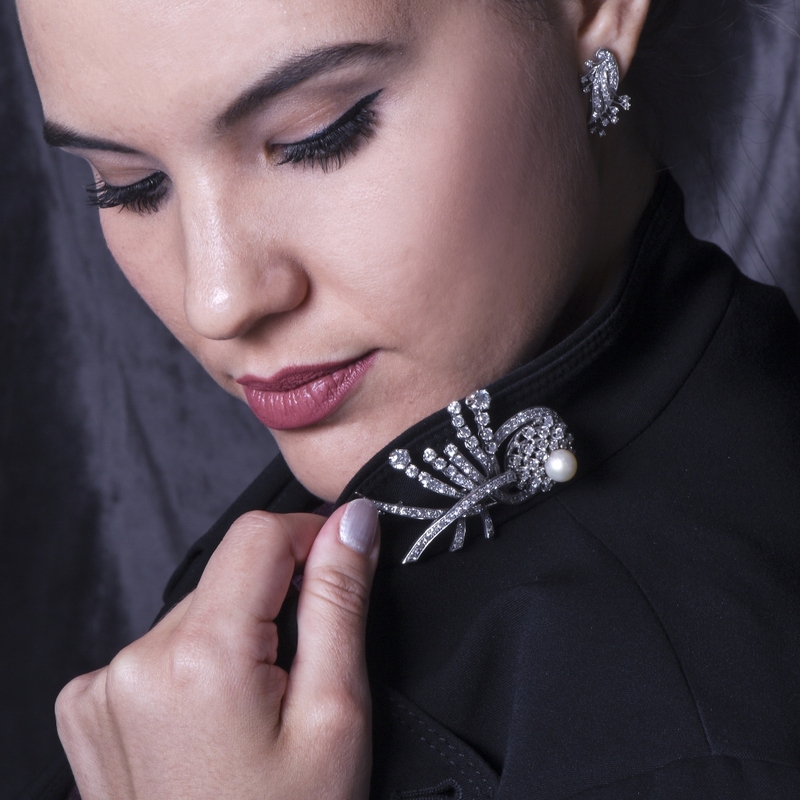 Our brooches represent different designs, varied styles and distinct motif, depending on the era they were produced: The delicate garland pattern, or the ribbon-bow motif of the Victorian era; the feminine and fanciful patterns of the Art Nouveau; the geometrically inspired designs of the Art Deco period with their vivacious, color-contrasting elements; the delicate and ornately detailed filigree motifs of the early vintage 1930s and the bold and opulent patterns of the late vintage Retro period, or those inspired by naturalistic motif. 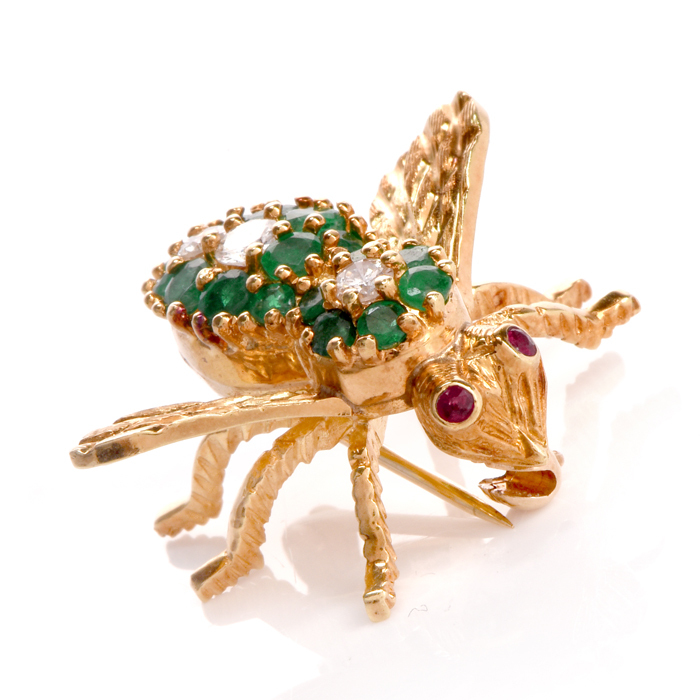 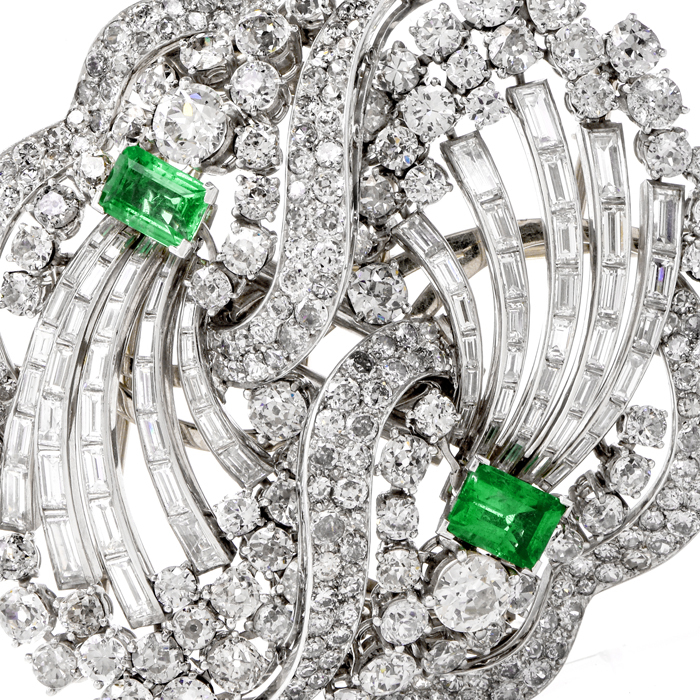 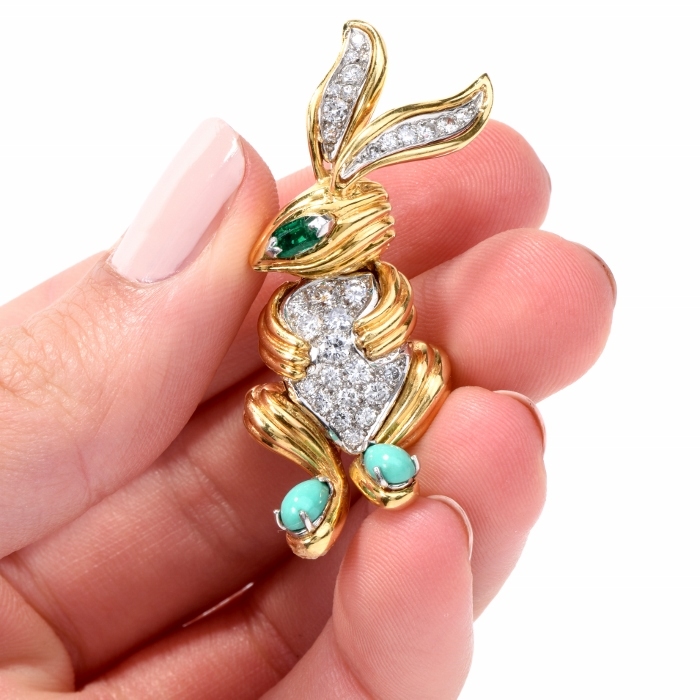 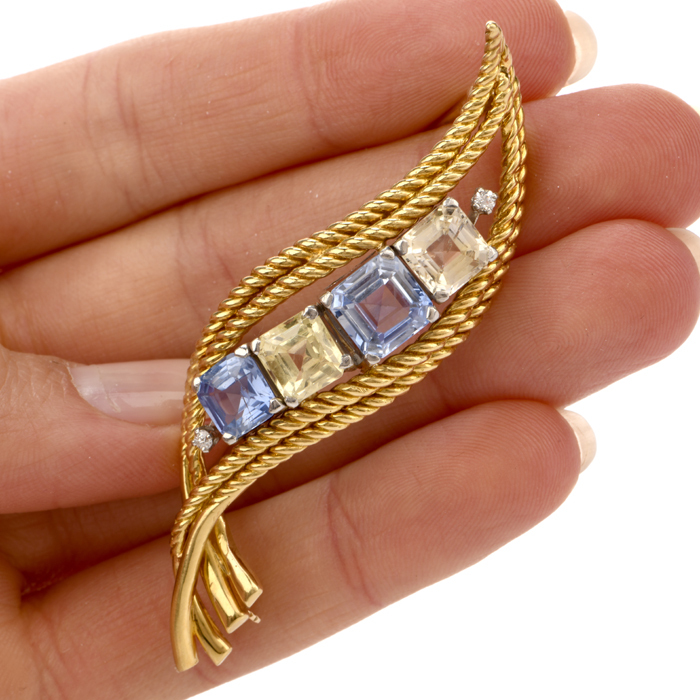 Virtually every style of estate vintage jewelry offers its unique aesthetic beauty which is distinct from its contemporary counterparts. 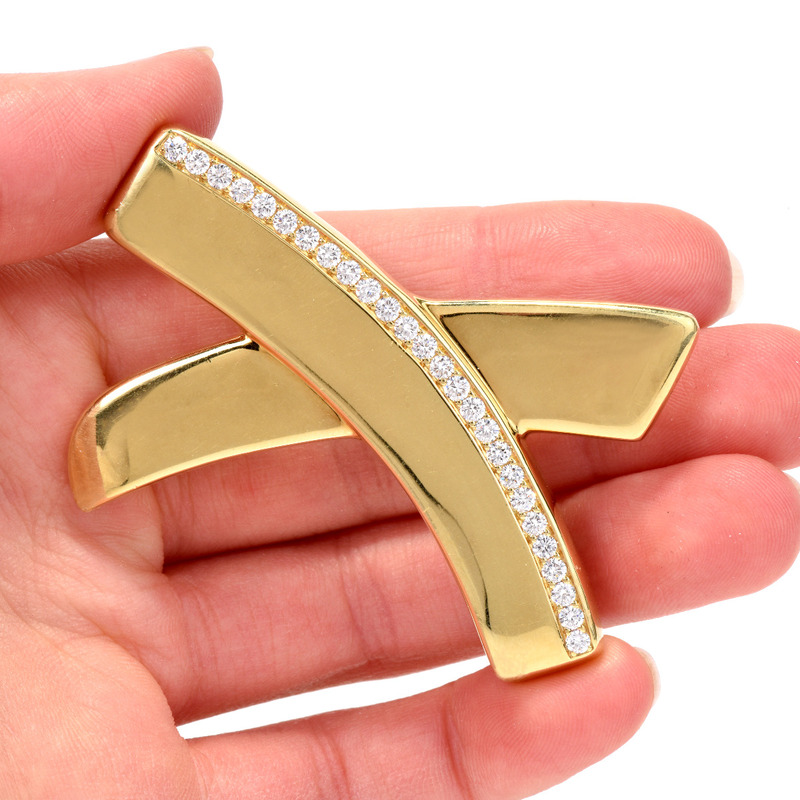 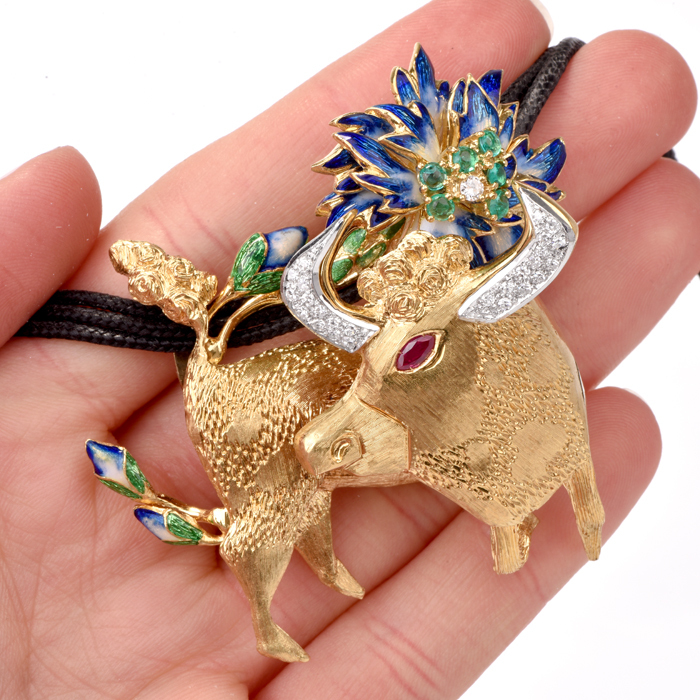 The elaborateness and complexity of women’s estate brooches is best manifested in their craftsmanship, which sets them apart from the so-called' mass-produced items which cannot be compared to the meticulously hand-fabricated products of the past. 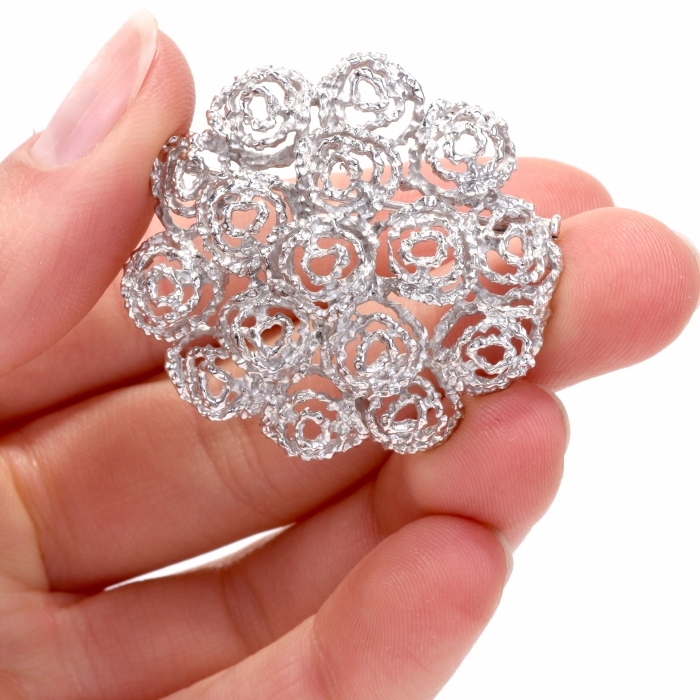 Certain techniques applied in producing vintage brooches such as filigree details, mille-grained borders, ornately produced undercarriage or gallery are practically non-existent in the contemporary jewelry due to the time consuming procedures and the considerable cost if they were to be handmade. 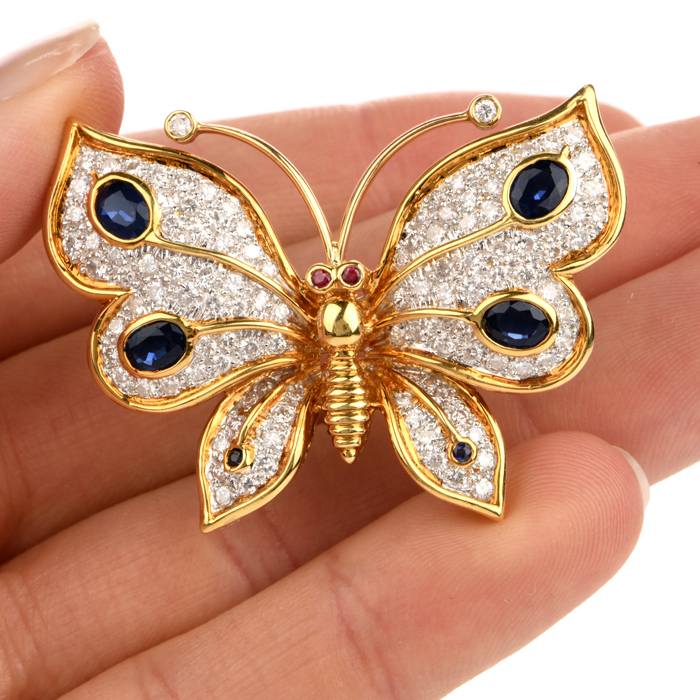 Getting acquainted with such facts about important aspects of vintage jewelry would help you to appreciate the value of your estate vintage brooches. 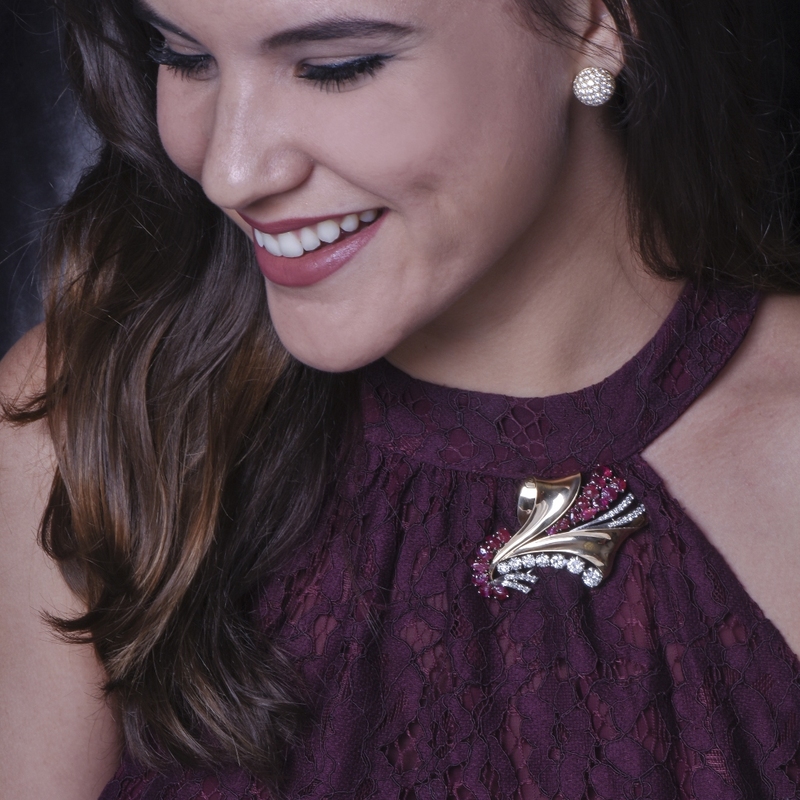 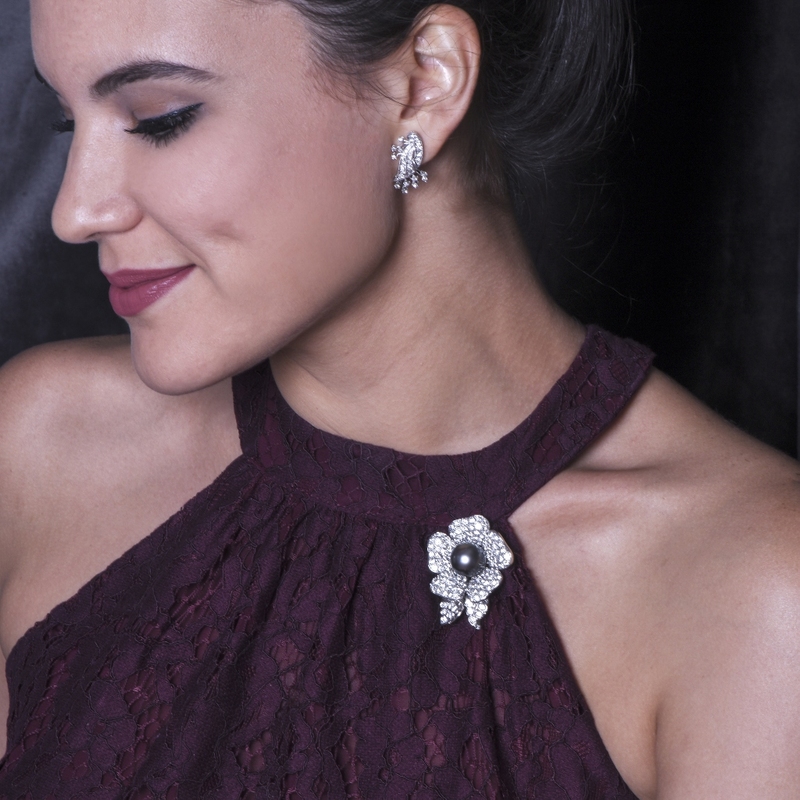 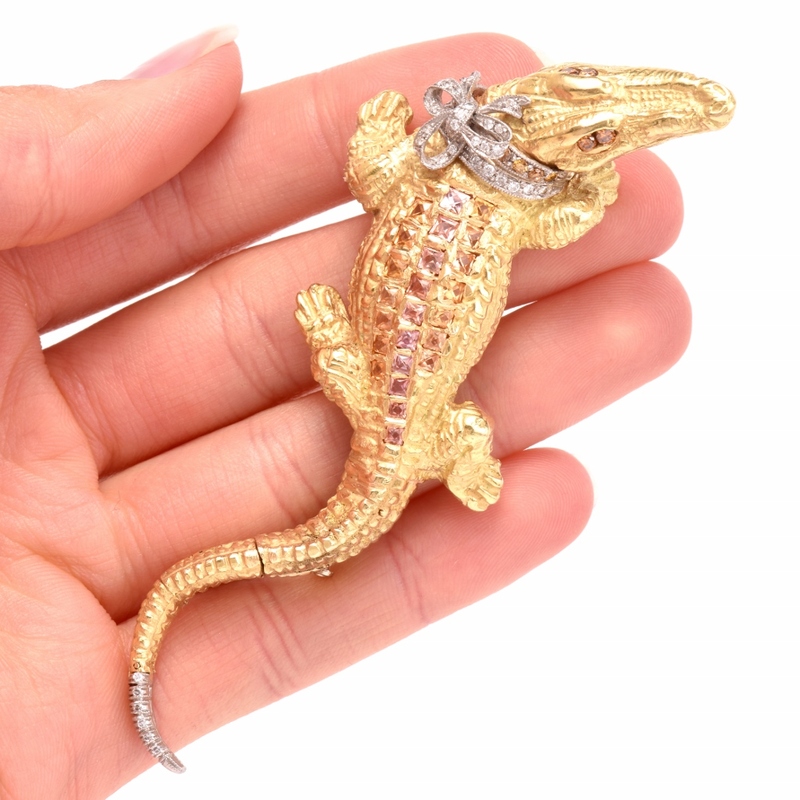 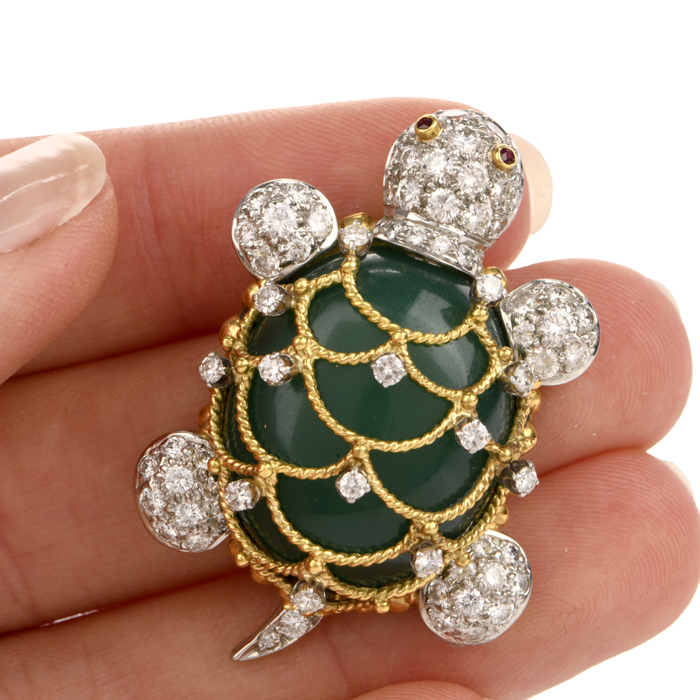 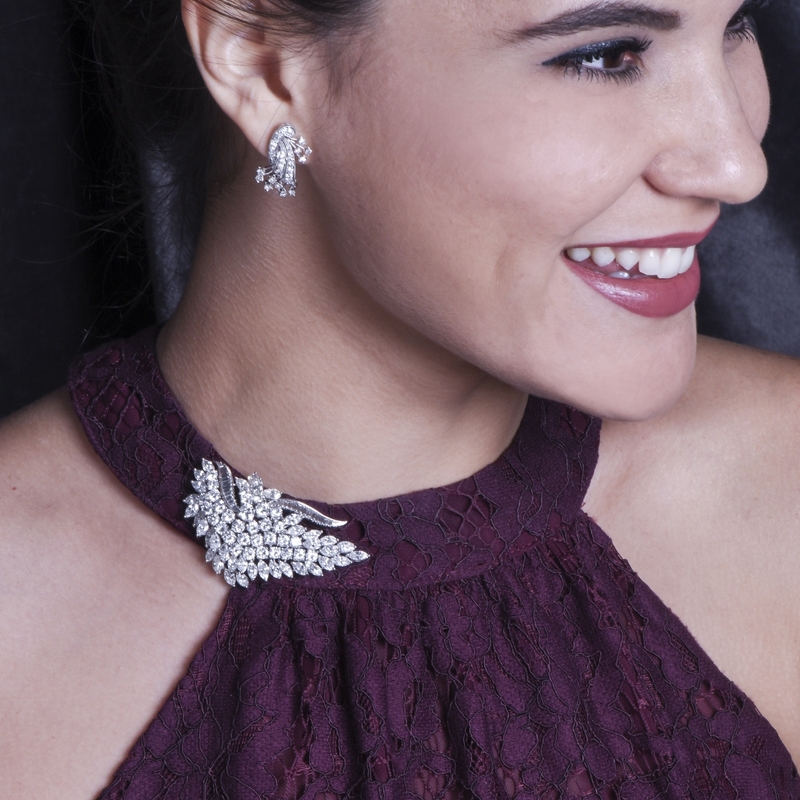 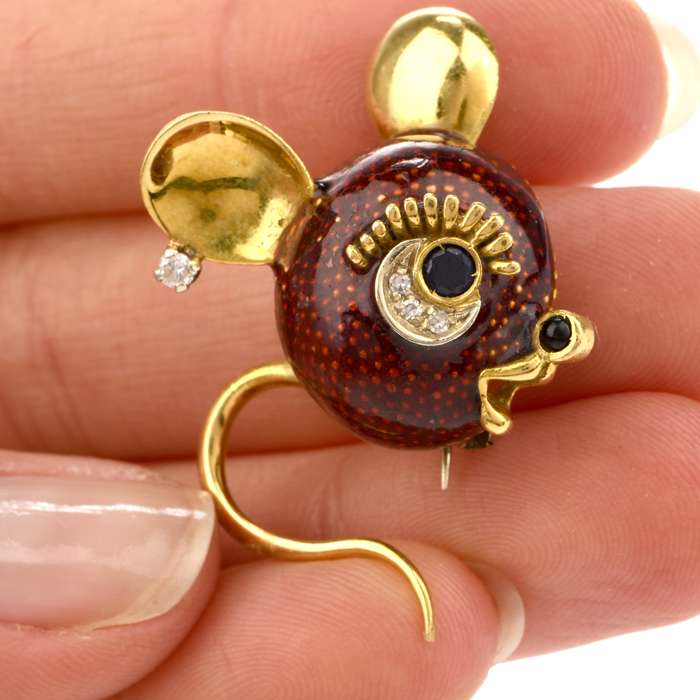 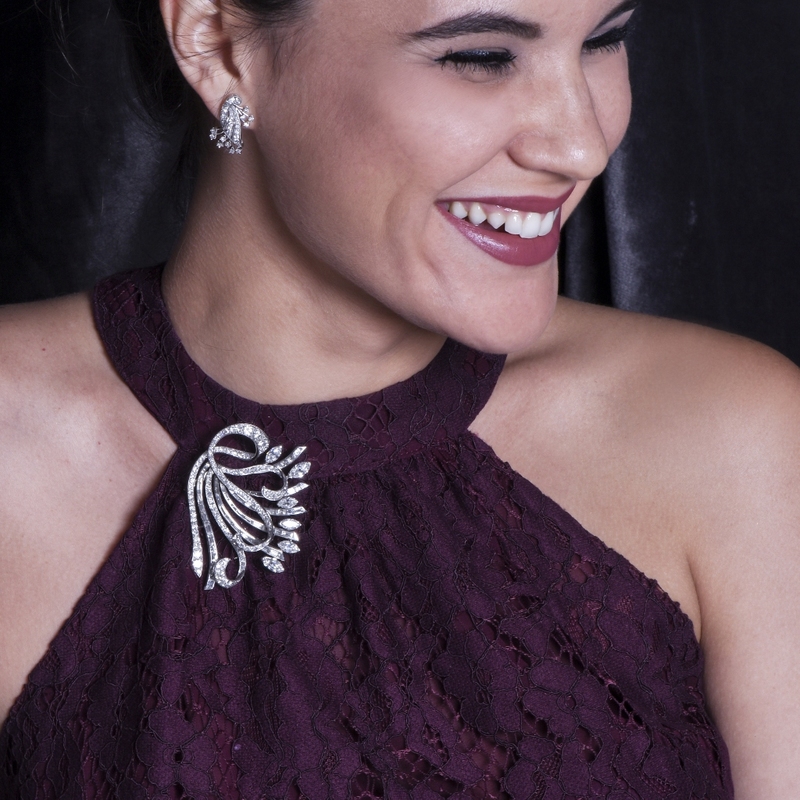 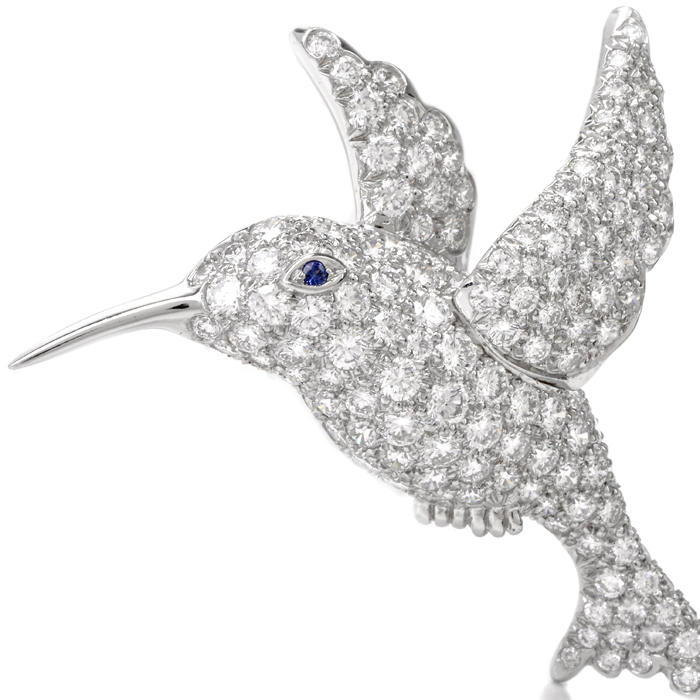 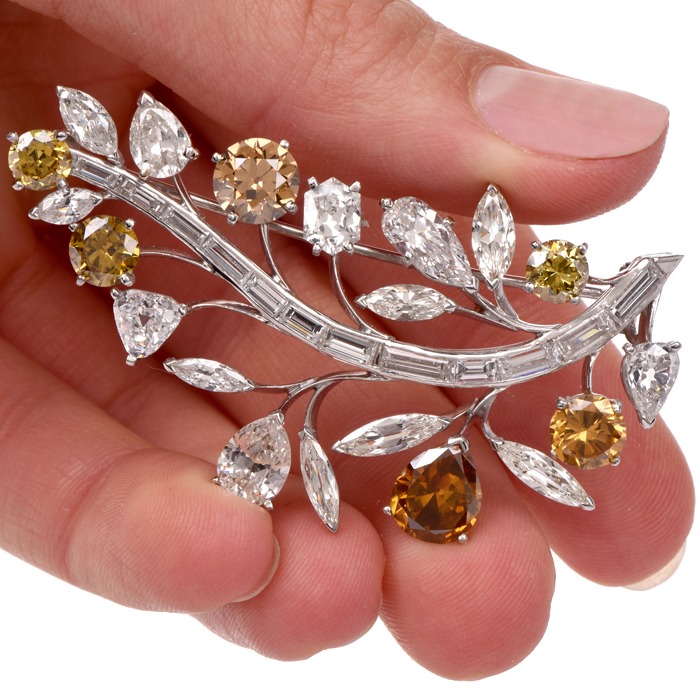 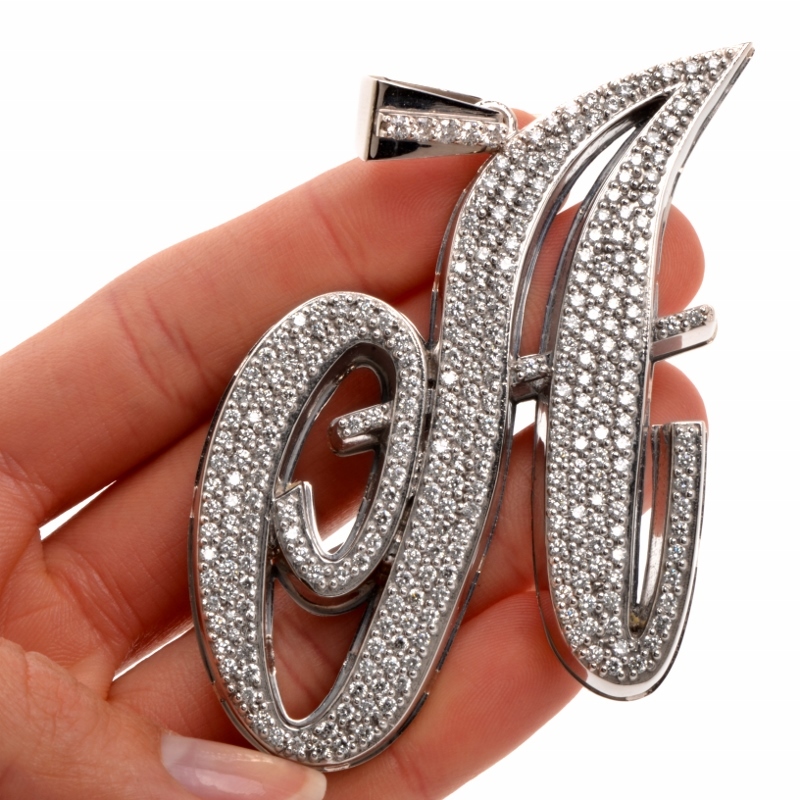 For this very reason, Dover Jewelry and Diamonds strives to procure and to add to its valuable collection of brooches and other items of jewelry from the vintage era. 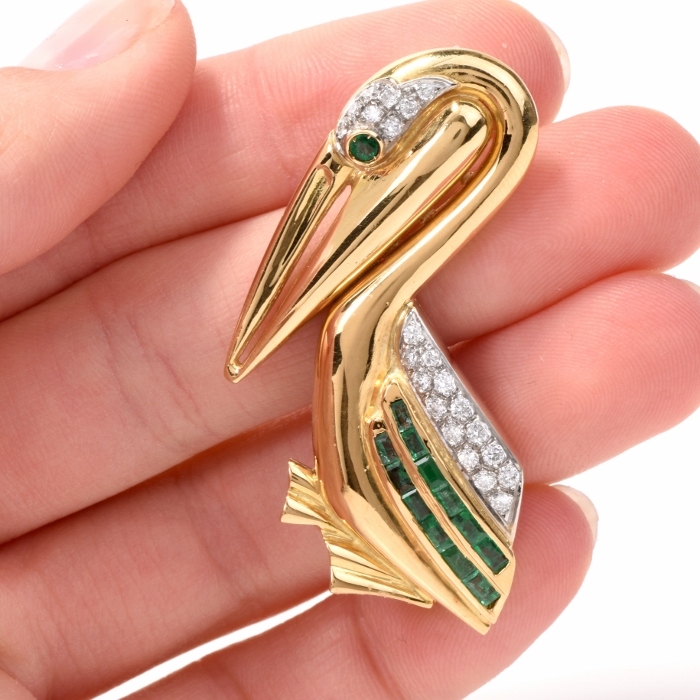 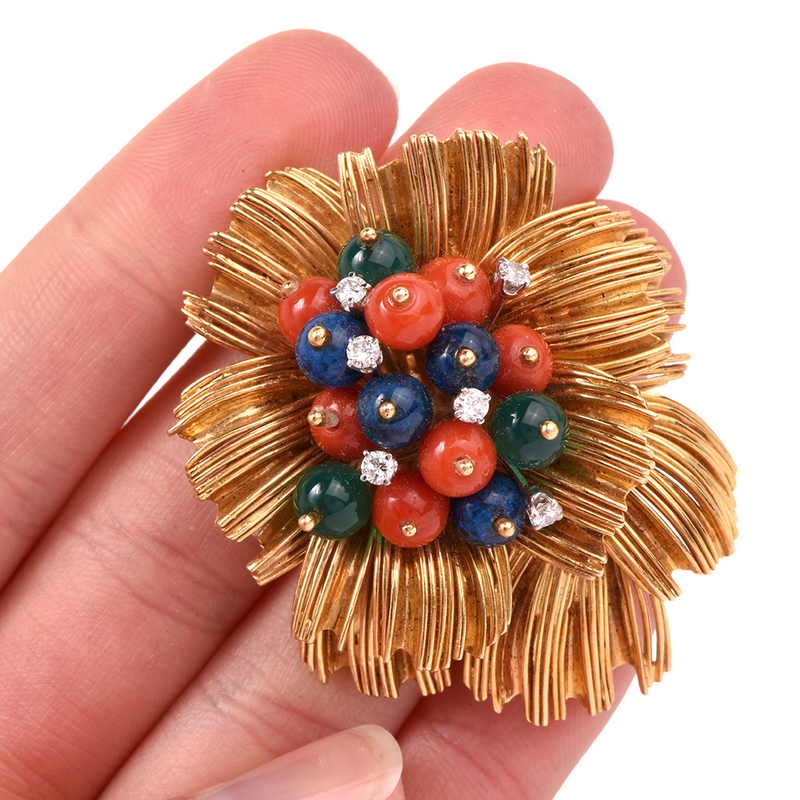 Please remember that our unique estate vintage brooches have timeless value and lasting popularity particularly with a renaissance of vintage jewelry in recent years. 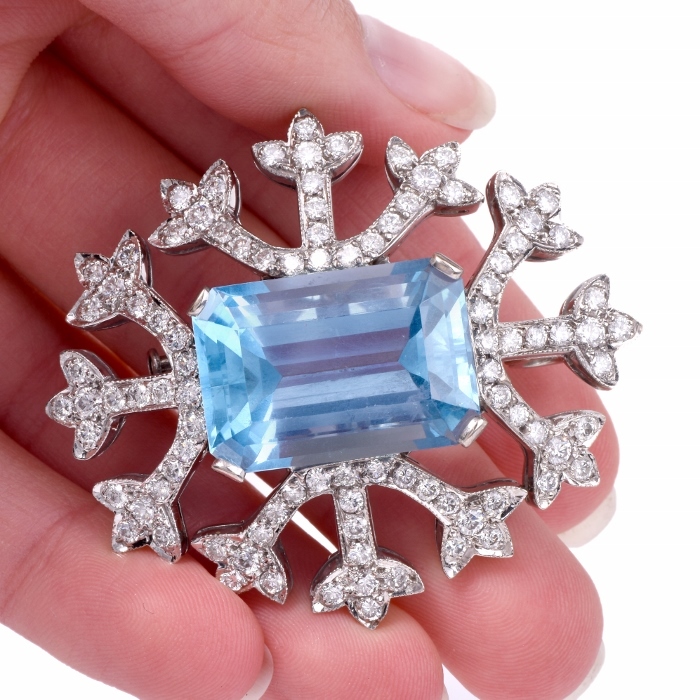 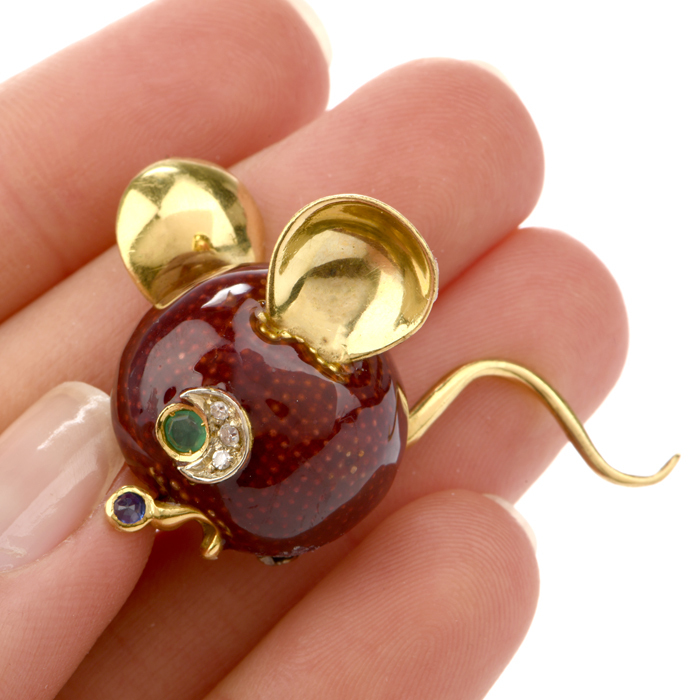 In our present world driven by constantly changing trends in all domains of fashion and design, the demand for antique and vintage jewelry items of all kinds has not been affected remained and based on the lasting popularity of vintage jewelry items has only pursued an upward trend and enjoyed increased popularity, indicating a similar trend for the future. 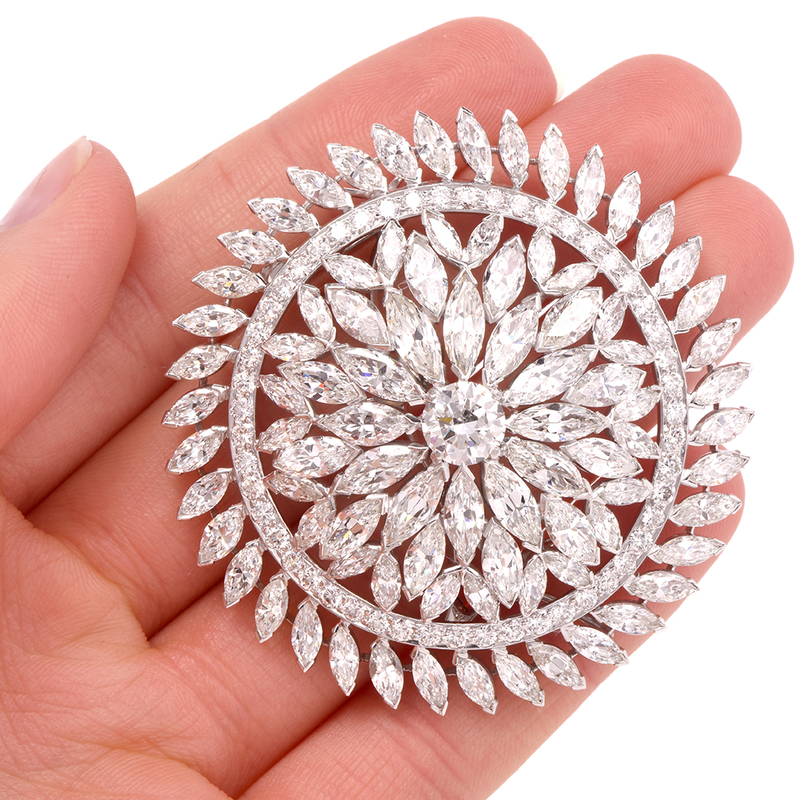 Dover Jewelry & Diamonds' unique collection of estate diamond brooches encompass Victorian, Edwardian, Art Deco and all varieties of vintage brooches. 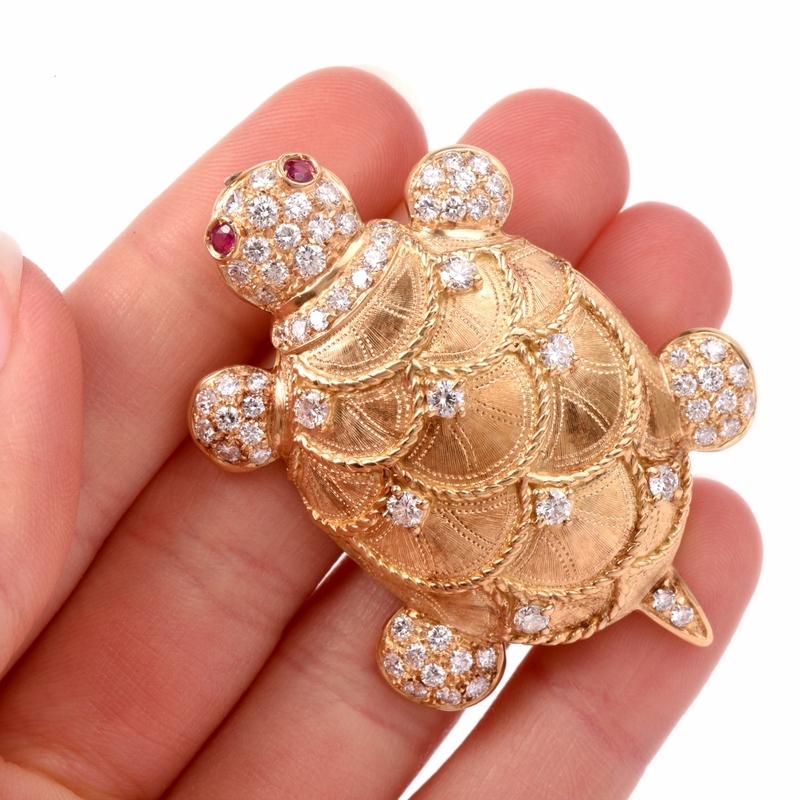 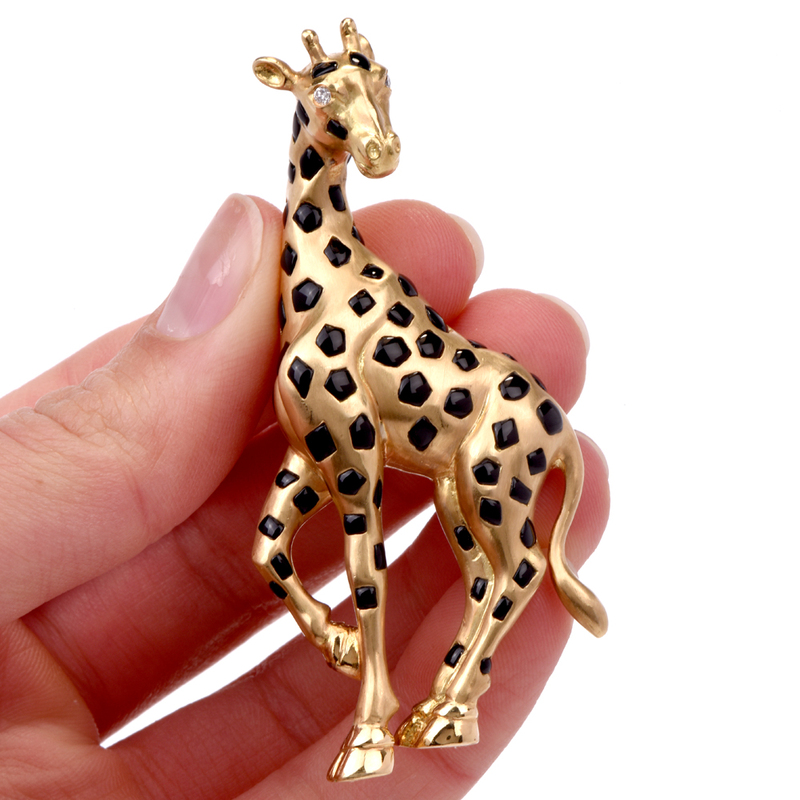 Our particularly rich section of animal motif brooches which is reminiscent of the 'novelty jewelry' of the Retro era includes birds, insects, turtles, dogs, teddy bears and many more. 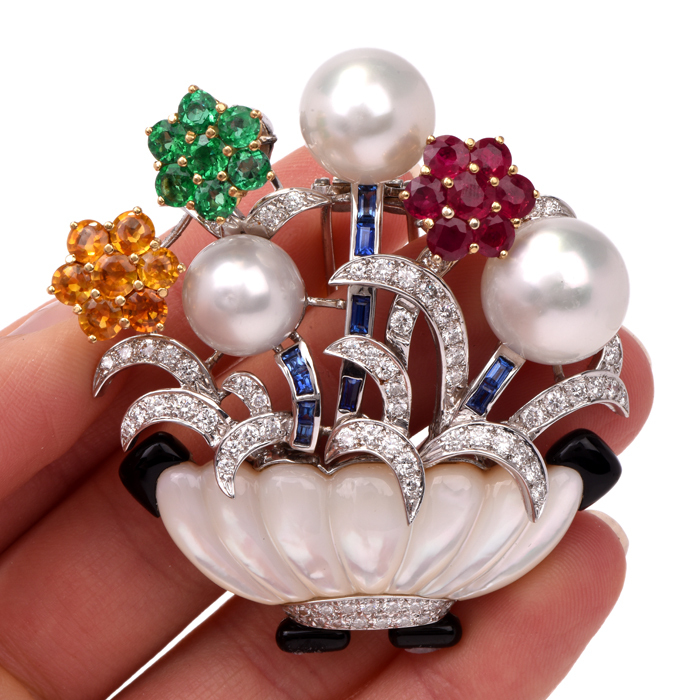 Brooches from earlier eras expose floral and ribbon-bow designs while our very valuable Designer brooches consist of magnificent and colorful ballerina, blackamoor and other figurines, all of which are highly valuable and collectible items. 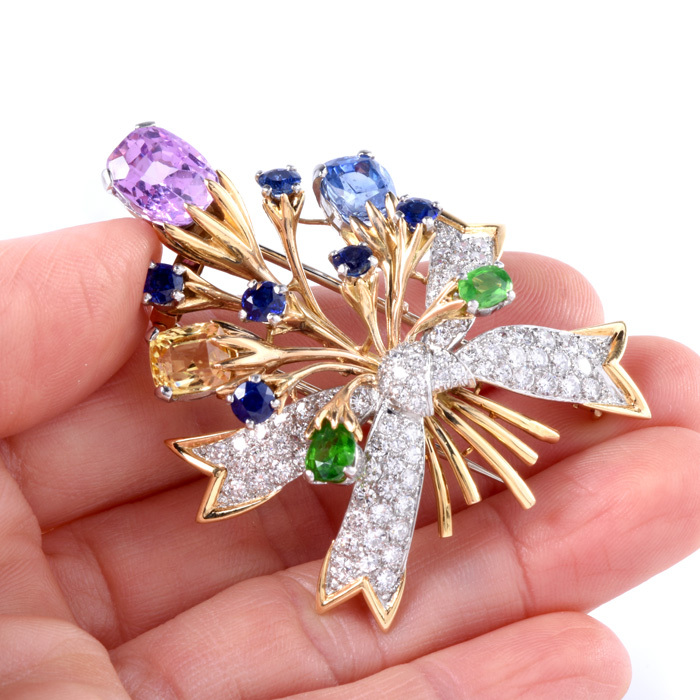 We invite you to view our diversified assemblage of estate brooches and bar pins offered at highly competitive prices or contact our team of gemologists for more information.